Adam Thompson is an All Black. It is alleged he assaulted his girlfriend. The All Blacks are sponsored by Adidas. 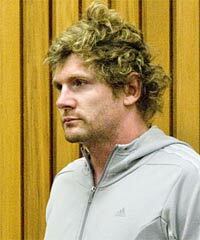 Adam Thomson appears in the Hastings District Court. He wears an Adidas hoodie.